His face softens and he tells me, “I guess…I guess I just feel disappointed.” His shoulders slump. I would have never argued with his younger brother this way, and I’m ashamed that I debated him until he had to admit that I was right and he was wrong. Whatever equations I’ve created in my mind to prove how fair I really am-how we spend equal measures of time, energy or money on each kid-I was totally unfair in how I responded to him. He is only seven, after all, and if he were his five-year-old brother I would have asked him gently why he felt the way he did. I wouldn’t have tried to crush him with statistics, ignoring his feelings. But, I tell myself, they are different creatures. My oldest is the squeaky wheel, persistent about expressing his needs and not afraid to be argumentative when he is shut down. Eventually he can be persuaded by logic and resigns himself to reality. My youngest is silent about his thoughts and needs most of the time. When he finally does express himself it is a loud tantrum that he refuses to explain unless you gently, subtly try to coax a reason out of him. At least, that is how they normally operate. 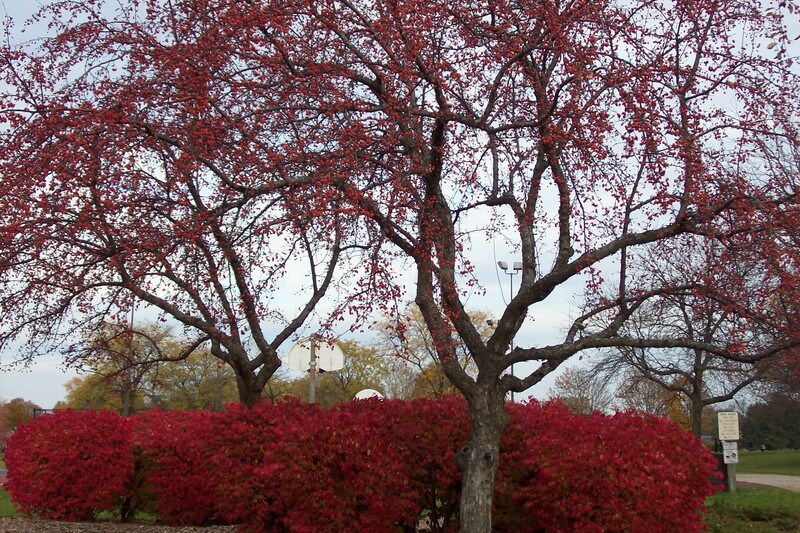 I was talking to the boys the other day about how beautiful our trees have become this fall. We talked about the purple-red edged giants, the flaming orange stunners. The year before, when I drove my youngest to preschool, there was a whole street on our route that was lined with a particular type of tree. 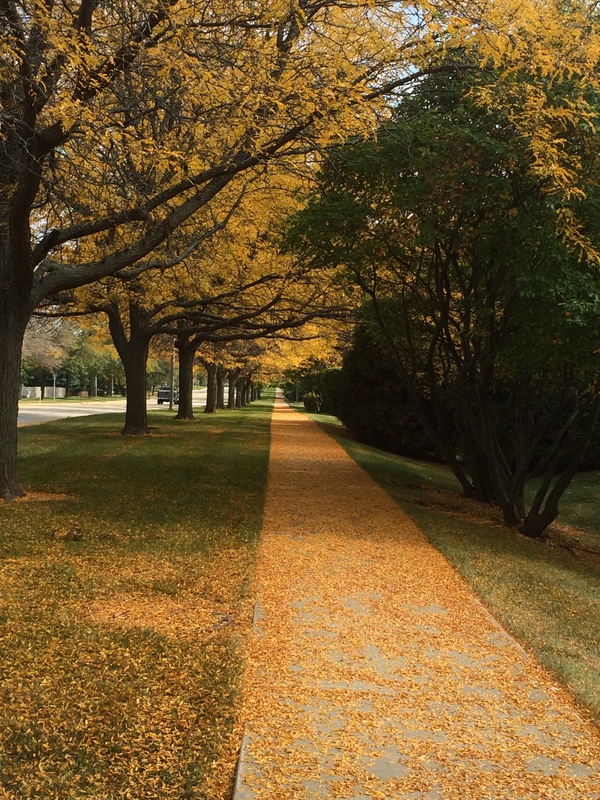 These trees had yellow-golden, tiny, tiny leaves that shook down like confetti. I asked if he remembered them. I then started going on and on about how red some bushes were by my oldest kid’s elementary school, and how they were so vivid I had to take a picture of them. My youngest sighed then, and I asked him gently what led to that sigh. He looked resigned and sad and his brother and I were quiet enough that he actually spoke up. Here was my youngest, quietly speaking up for himself, quietly presenting me with evidence I couldn’t argue with (though if it had been my oldest, I surely would have tried). Me taking the time to record one tree, and not record the other, was the same as valuing the experiences I shared with his brother more than the experiences I shared with him. This was a way of being unfair I had never thought about, never accounted for, though it instantly made sense. Sharing the things we love, making sure we don’t forget them, making and preserving those memories together is very important. I stalked those trees for weeks, working to get a picture of them fully golden with their glittering leaves shaking down. I wanted to make it right. I apologized to my oldest for arguing with him so much. I am trying, very hard, to be fair. Hello, there! I am a brand new reader who is delighted to have found you, thanks to Literary Mama. I love this piece of yours and the aching satisfaction in finding that tree again and including it for us in your pictures, like new evidence of becoming more and more fair. You give us much to think about in this piece. Such honesty is lovely and inspiring. Thanks! Thank you so much for your kind words, they mean a lot, and I am glad you came to visit!